In general the first impressions are very positive for the consumer version of the Oculus Rift, but let me get a bit into the details about what I liked and what I did not. Since this is not a development kit anymore, but a consumer version of the VR headset I’ll be a bit more critical this time. One of the most annoying things before you even start is the very slow software download, taking too much time for just 800 MB download, though the software warns you it could take quite some time to setup. It would’ve been much easier to be able to download the full software package prior to starting to setup the Oculus Rift and having to wait. When the download completes it is also quite slow to install, even on a high-end PC with a fast SSD drive. When everything is downloaded and installed the setup is relatively quick and easy to finish, and then the long wait starts again as soon as you start downloading some VR experiences and games from the Oculus Store. A bit something about the Oculus Remote, it is shipped with a lithium coin cell battery like the ones on your motherboard, you may need to stack on these as they are not designed to be recharged, would’ve been better to put a micro-USB and a small rechargeable LiPo battery inside. Not sure how long will it last since you don’t need lightning speed response and you will not be using it in games much, but the CR2032 batteries are with low capacity. The controller comes with convenient to use design and clever button configuration, though the plus and minus volume buttons could’ve been larger or with different design as they are not very convenient to be used. The Oculus Touch controllers are not yet available and do not get shipped with the Rift, instead you get a Microsoft Xbox One wireless controller with a PC USB adapter. This is a nice addition since the use of a keyboard and mouse is not easy with the headset on, The Xbox controller is probably one of the best gamepads out there for gaming. 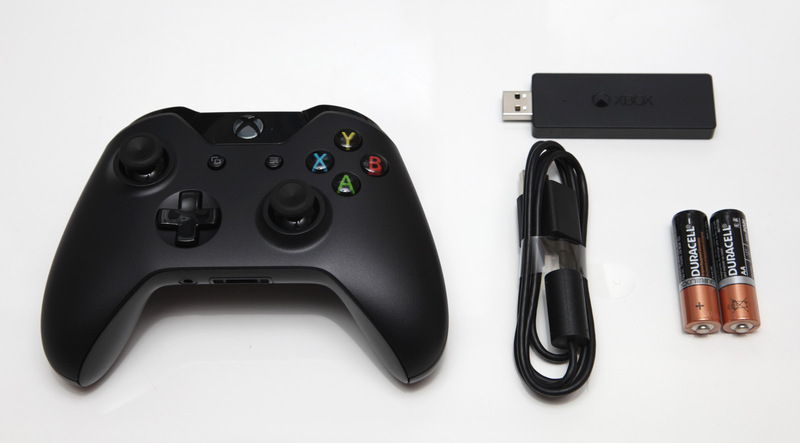 Though I’m not very happy with the way Microsoft designed the power for the controller, you get to use regular AA batteries or rechargeable ones, but you cannot recharge them in the controller via USB connection. Microsoft wants to sell you an extra rechargeable lithium battery pack, not a problem for Oculus, but this simply means more batteries and more annoyances if you miss to replace depleted batteries on time. 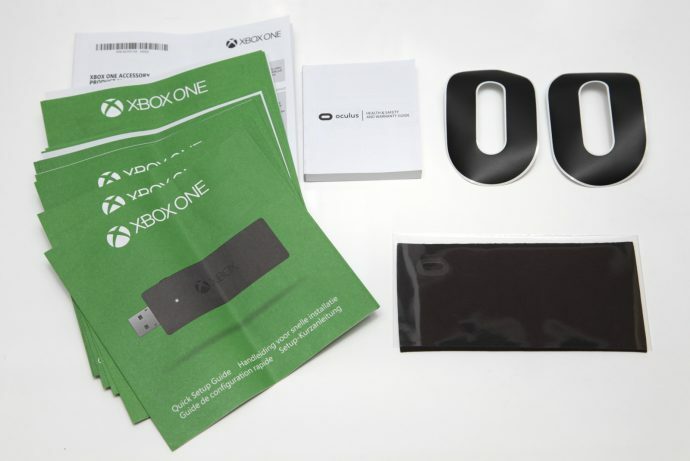 It is a funny thing that you get more documentation for the Xbox controller than for the Oculus itself, all the info for getting started and inside the box there is a sticker that points you to an URL, though some small and short quick guide would’ve been nice addition. In the package you get two Oculus logo stickers, just rotate them and you get two plain zeroes, if you stick them somewhere in the right direction nobody will probably guess what they mean. It is not like Apple stickers or Razer ones you get with their products, Oculus should think about the logo stickers design a bit more. When you start setting up thing you will need three USB ports, two USB 3.0 and one USB 2.0 for the Xbox controller receiver, then a third USB 3.0 port will be required for the Oculus Touch controllers when they are released, so now you might finally be glad that your motherboard has a plenty of USB connectors available. The USB and HDMI cables you need to connect everything are long to provide you with enough room to get around if you need to move more in a virtual reality experience or a game, though you will need to make sure there are no other obstacles around you. Now, for the headset, it is light and convenient, easy to adjust to different heads and faces. I don’t like the headphones that are a part of the headset that much, though they should be detachable (have not tried to remove them yet). The headphones do not cover the ear completely and thus do not provide much of noise isolation to help you get more immersed in the virtual reality world, and the sound quality might not be that good from such a small speakers used. As for the light blocking of the headset, everything works pretty well apart from the opening at the bottom of the nose where I see some light, a little extra cushioning at that point could’ve easily provided a solution to this problem and I suspect that many other users may have some light getting inside from there and the darkness is needed for better immersion especially if it is not dark in the environment you are using the headset. The consumer Rift has no interchangeable lenses, but it works quite well for people with small diopter that need to wear prescription glasses like me for example. I’ve managed to put the headset with prescription glasses as well getting a bit clearer picture, but the glasses I’m wearing are pretty compact, so with larger glasses you might have trouble putting on the Oculus. The headset is apparently not designed for people wearing prescription glasses to wear the glasses inside, so people with larger diopter may need to consider going for contact lenses in order to use the Oculus Rift. The image quality is definitely better than that of the DK2, but I can still notice pixels, so a larger resolution will be required for a later version as GPUs get more powerful and capable of handling the extra pixels without trouble. The resolution is not as problematic as with the dev kits however and you can quickly stop noticing this as an issue as you get into the experience, and experience wise the immersion is now at really very convincing level already. The annoying color aberrations seen on the dev kits are now pretty much a thing of the past, so definitely a huge improvement here. The best improvement however seems to be related to the lack of dizziness or nausea feeling after some use playing a game, something that has happened to me a few times with the dev kits even after getting used to them after playing for a while. With the consumer Rift I’m yet to experience such issues even after I have just started using the device and playing a game briefly, so it should be much easier on normal first time stereoscopic 3D and VR users as well. Though with Eve: Valkyre rotating the ship around for a bit can still cause you a bit of dizziness, but then again in a real space ship doing the same thing you’d probably experience the same thing anyway. 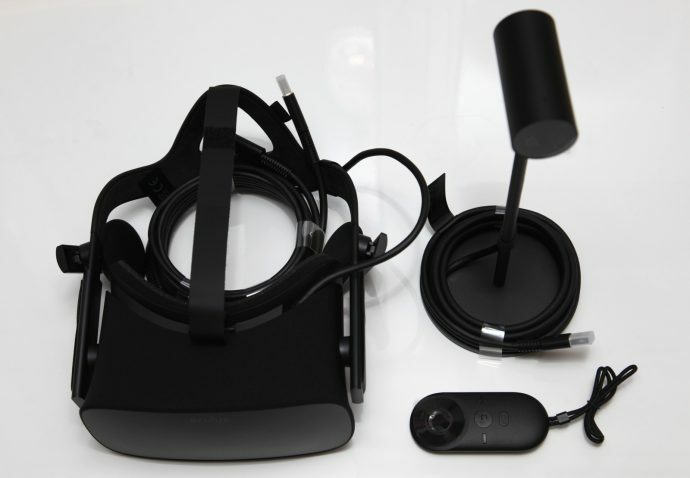 In terms of hardware requirements, the Oculus Rift requires a powerful PC with a high-end GPU, the recommended specs say GTX 970 or Radeon 290 or a higher-end GPU. Using a GTX 980 Ti is more than enough for the moment and for that resolution, but still if you are looking for an upgrade for VR you might consider getting a GTX 1070 for example, it should be more than enough on the long run. On the software side, there are still not many VR Games and VR Experiences available, though the ones online in the Oculus Store are pretty good ones as I’ve already tried half of them. Still yet to try running a software that is supposed to support Oculus Rift, but is not yet officially certified, but is in the list of things to do. The total number of “official” Oculus Rift apps is still relatively small and not many top game titles to keep you occupied for long, but hopefully more and more new content will become available soon. 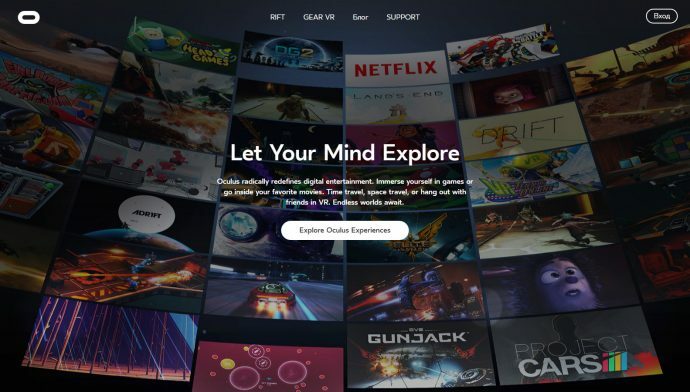 The Oculus Experiences Store however is lacking something very important and that is 3D screenshots and videos that show what you can really expect if you get a VR application or a game, especially if it is something expensive before actually spending any money on it. 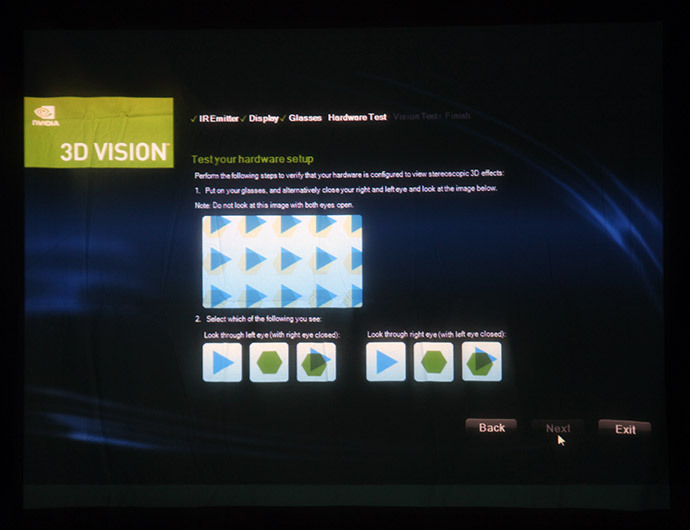 Low resolution 2D screenshots and 2D trailer videos are simply no good here, they can still be available for people exploring that do not own Oculus Rift, but inside the Oculus Rift you should be able to preview sample media form an app, game or an experience in stereoscopic 3D mode, so you can better get an idea on what to expect from it before having to purchase it. This is a “must have” feature especially when you want to sell something to the 3D/VR crowd as we are people that want to get a good VR experience and we are ready to pay well for it, but we want to know that we are paying for something that is well worth it before actually spending the money without getting disappointed afterwards. After I’ve had a day to test out and play with my Oculus Rift dev kit I’m ready to share some of the first impressions I’ve got from the device by trying out some of the still very few demos available as well as the first game that supports it – Team Fortress 2. Since I do wear prescription glasses as I’m a bit nearsighted, with -1.25 diopters what seemed to work best with the Rift was the middle B set of lenses as the A set produces a blurry image for me and the C set is a bit too much. I’ve also tested trying to fit my prescription glasses inside the Rift as they are pretty compact in size (the do fit inside), the effect I get with them inside using the A set is pretty much the same as when using the B set without the glasses. I prefer to use the B set of lenses as it is more comfortable than to try to wear my glasses inside the rift and if you wear larger prescription glasses you may have trouble fitting them inside. You should have in mind that wearing glasses when using the Rift or using the B and C sets of lenses does lead to a slight reduction in the FOV you get. So people with normal vision or if wearing contact lenses with the A set will probably get the best experience in terms of largest FOV achievable, though the difference in the FOV with the B/C sets visually is not that much noticeable. So after setting up the dev kit with the right lenses it was time to try it out. Obviously the first thing to do when you get your development kit is to register at the Oculus Developer Center (if you still haven’t) and to download the Oculus Tuscany Demo to try out the Rift and this is exactly what I did. As soon as I put on the Rift and started the demo the WOW effect was there, the large FOV you get and the image covering your vision well enough surely makes it feel great. The immersion is very good and the responsiveness of the headtracker makes the head movements result in very natural movement of the image on the screen. A few seconds after that however you may start to notice the not so good things, such as the low resolution (roughly about 580×580 pixels per eye used in TF2 for example) – looking at the Oculus Rift LCD display without the lenses it looks great in terms of detail, but since the lenses zoom it you can clearly see the pixels. So a higher resolution display is indeed a must have for the consumer version of the device, though if you stop paying too much attention to the pixels you can still enjoy what you get. For me personally the lower resolution wasn’t actually the biggest issue, what bothers me more is the motion blur around objects while I move my head around (probably due to slower pixel response time), the blur is not so apparent when looking around with the mouse or moving with the keyboard. This means that it could be possible to improve the situation with just a software update by further improving the translation of the head tracker movements to the image being rendered on the display. Some people may not notice the motion blur that much or it may not bother them as much, but for me it is a bit of a problem, and it probably results in me getting a slight nausea when moving with the keyboard and moving my head looking around. Strangely enough I get nausea fairly quickly only in the Oculus Tuscany Demo and not in any other of the demos I’ve tried or in TF2 (or at least not as fast as in the Tuscany Demo), though I do notice the motion blur in them as well. The other demos that I’ve tried and that you may want to try out if you still haven’t include the: Space Station Explorer that looks quite well, though not very “playable” yet, the Ogre Oculus that is Ok, even though it does not work very well and is not very complete yet, but the most impressive demo for the moment seems to be the Museum of the Microstar – Oculus Rift Edition. These demos can give you an idea on what to expect and allow you to explore various “virtual worlds” to give you an idea what is possible with the Rift, but you’d want to give Team Fortress 2 a try, it is a free to play game and is currently the only game available to actually feature support for the Rift. The Doom 3 BFG Edition or the Hawken that have Rift support announced are still not yet available to be played with the final version of the Rift dev kits. 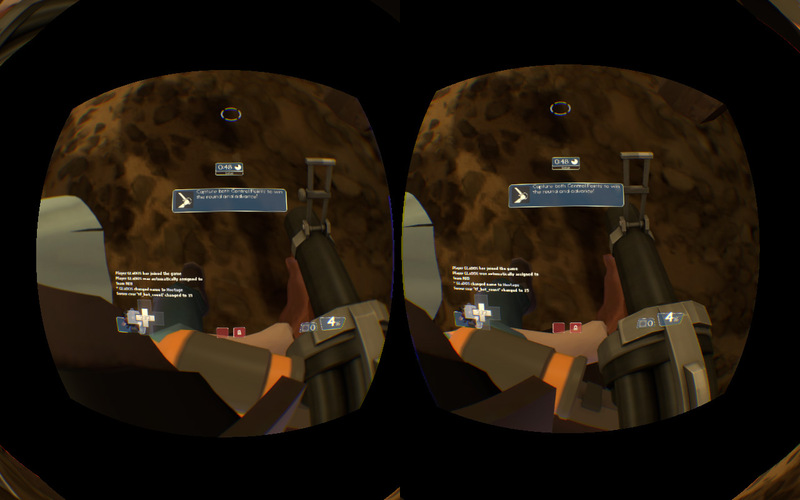 There is a detailed guide for TF2 on how to enable VR mode in the game. I’ve had a weird problem at first getting an error that the tracker is not being detected, even though it was running fine in the other demos – moving the USB cable from the USB 3.0 port it was connected to to another USB 2.0 has resolved the issue and the game ran fine after that. Playing TF2 with the Rift feels a bit strange at first and requires a bit of getting used to as unlike with the demos here you need to shoot at the enemies. The game works quite well after you get the hang of controlling it, though using the developer console and reading some texts is a it problematic due to the lower image resolution. I still haven’t played with most of the advanced options available in the game, but even the default setup works quite well for me. I’m sure that many of you are also interested in the stereoscopic 3D experience that the Rift provides. The focus of the stereoscopic 3D support with the Rift is making things seem realistic, that is why by default the settings for the stereoscopic 3D rendering are intended to make virtual objects seem realistic in proportions. And while this works quite well in the demos, they may seem a bit flat for people sued to playing games in stereoscopic 3D mode with a lot of depth – not intended to provide realistic proportions, but just to have a lot of depth. So if realism is your goal, it works quite well even now, though the lower resolution is a bit of a drawback here as well, but virtual reality does not need to always be true to real things, it can be used to provide “unreal” experiences as well. I suppose it can take some time for developers to pick up on stereoscopic 3D support for the Rift to be able to use it as best as possible and also to give adequate user control over the depth levels. From the currently available supported software I cannot say I’m impressed by the stereoscopic 3D support as much as by the VR experience, though both work well together. Another thing to note, not so bothering, but still a bit of an issue are the color aberrations around objects that can be seen closer to the edges of the lenses, and further improvement to the lenses and the image distortion algorithm could also help in reducing these. By default the display is set to pretty low Brightness of 0 and Contrast setting of 50 and you may want to bring the Contrast even a bit lower as the image can still be quite bright at times, no point in bringing it higher. What you should also be careful about is to keep the lenses clean and not to allow dust to enter inside and fall on the screen as it looks like large dead pixels on the display when you put on the Rift and these are hard to clean. I’ve had a few times the lenses fogging up after some time of use (I guess my face got sweaty). The weight of the unit is Ok and you quickly can get used to wearing it without being bothered at all, though the side straps needed a bit of adjusting in order not to cover my ears so I can use headphones, also the cable between the control unit and the display could be made more flexible. 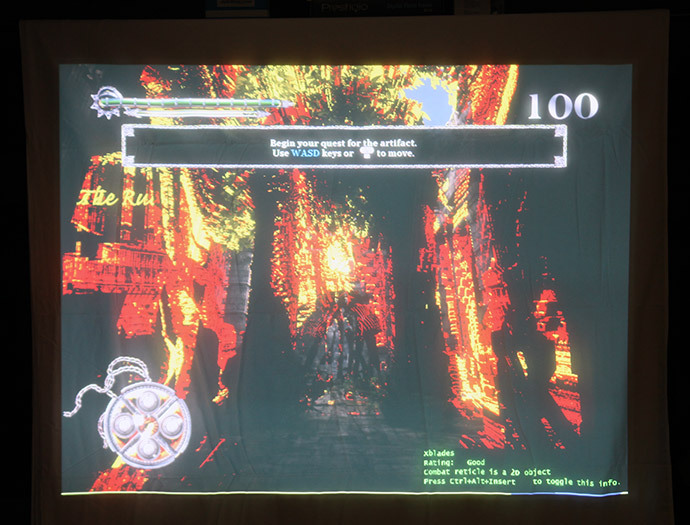 After trying all of the above demos and TF2 I can say I’m quite pleased with the results and how well the Rift works in overall, lets not forget that this is still a developer kit and it is intended to help developers get to know how to work on VR applications supporting the device and be ready to have them running great with a further improved consumer version. The Rift shows a great potential, even though there are areas that need improvement in order to provide even better user experience, the headtracking is good, but we still need improvement in the display as well as further tweaking the software and improving the support. The Oculus Rift is much better in terms of immersion as compared to all other HDM devices that I’ve tried so far, mostly due to the larger FOV it provides and with a bit more improvement and refining it can really lead to bringing affordable virtual reality experiences to everyone. For now however, unless you are a software developer or an enthusiast interested in researching or programming VR applications you’d probably want to wait for the consumer version of the Rift. 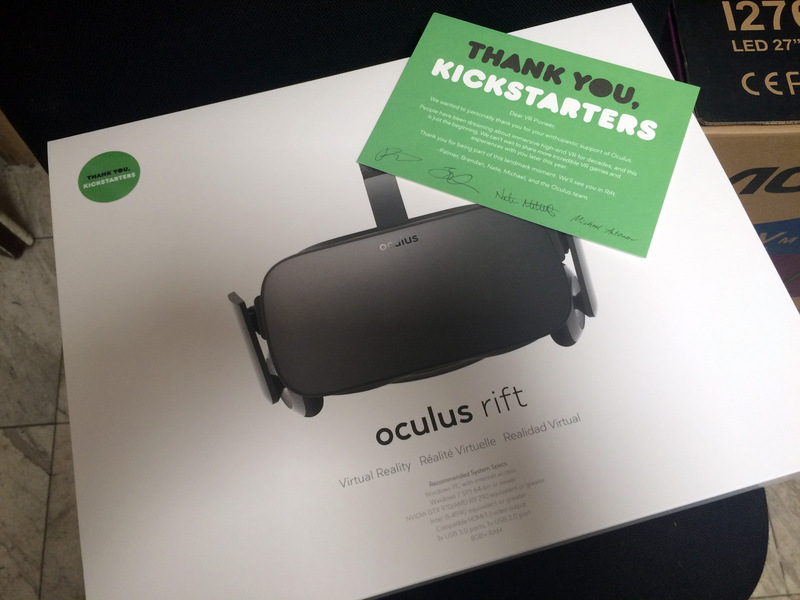 If you are a normal consumer and have the chance of trying out the Oculus Rift developer kit you should give it a try, but probably it will not be a good idea to order a kit yourself, better wait for the improved consumer version and for more content supporting the Rift to become available. 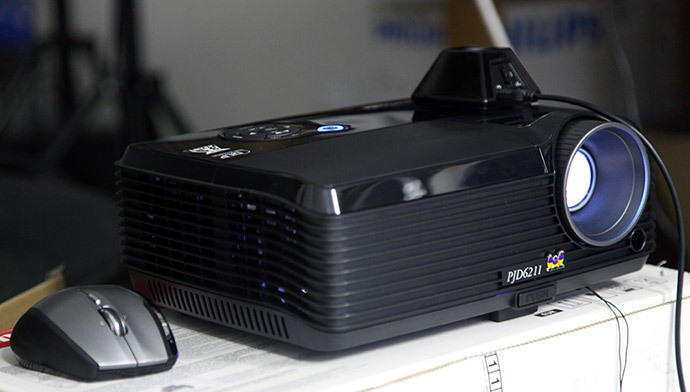 The installation and usage of the projector is pretty simple, but of course there are some issues that need some attention and getting used to, but once you do that you should be Ok with the product. I started with trying to use a long cheap VGA cable and I had trouble with setting up 120Hz which kind of surprised me, but I believe that the problem was something with the cable, because after switching to the shorter one that comes with the device there were no problems. Of course I’ve used a DVI to DSUB converter, because the videocard had only DVI outputs (Nvidia GeForce GTX 275), but there were no problems using the analog lines of the DVI interface for that. I started with some well known games that work good and look very nice on the 120Hz LCD displays to have something to compare them and the results you get on the projector. Tomb Raider Anniversary and Underworld do look very nice as expected and much more fun to play when you don’t have to look like “through a small windows” which is actually your 22″ monitor. 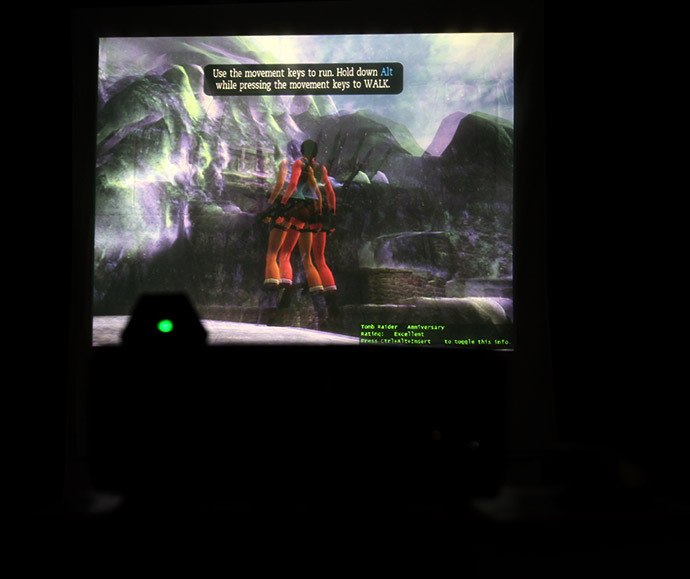 Counter Strike Source for instance did look better than on LCD display, but not that much… the game just is not great on 3D Vision, but still… Batman – Arkham Asylum Demo also looked very good on the projector, but with Prototype I had some issues with the character starting to be visible double even with the glasses if I increased the depth level a bit more than the lowest setting, and with the lowest setting it was Ok.
3D Vision Blog - A Blog for Stereoscopic 3D (S3D) Technologies, Products and News including, but not limited to nVidia's GeForce 3D Vision.